Can you believe we have been at it this long!? Congratulations, Terry!!! Congratulations! The topper is really cute, hope I win. Congrats Terry! It's amazing how fast time flies. Six years already? Time sure flies. Happy Birthday! Congrats Terry! Cute table topper!! Congrats on 6 years. I am so glad you did because you also got me started in Jan. of the next year. As the old saying goes, "Time flies when you are having fun!" Congratulations and may God bless you with many more years of blogging fun! Great job...six years...thanks for all the wonderful ideas...!! Congratulations. 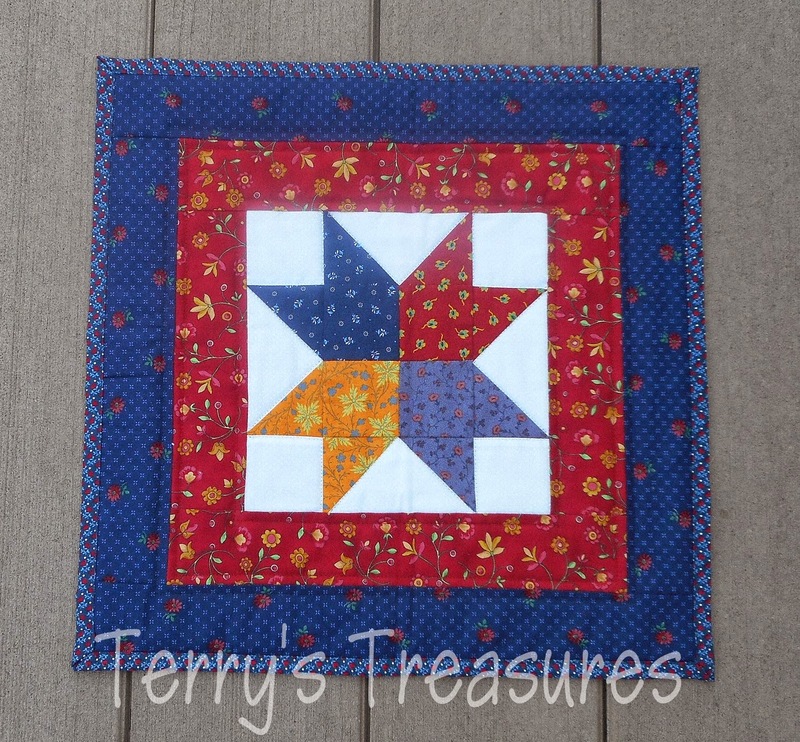 I enjoyed sewing along with Goodnight Irene. I am cutting blocks to make another Irene. Happy Blog Anniversary! Dare I admit that I would need to look up my blog's start date. Very nice table topper giveaway. Thanks for the opportunity! Congrats Terry on 6 years. I know what a great time it's been. Here's to many more! Congratulations Terry, I always enjoy popping in to see what you've been up to. How's the job going, have you managed to reduce your hours a bit?? :) Barb. Has it been six years...that is amazing. I need to go and look to see when I started...I think a lot of us started about the same time. It has been a fun journey with you and your family. 6 years! Congratulations....here's to the next six! Wow 6 years ! congratulations Terry! Count me in your lovely giveaway please! Six years?Happy bloganniversary.It`s nice meet you!! congratulations on 6 years....how quickly they go huh? Now that you mention it I should check to se how many years i've been at it too! Wow! That's amazing! Congratulations on such a milestone! I would love to win your little mini! How exciting for you! 6 years wow! Congratulations!!! I really like that topper too :)! Congratulations on your blog' s anniversary! 6 years! Wow! I always enjoy reading your posts! CONGRATS ON YOUR BLOG>LOVE IT! THANKS TOO,FOR SHARING A VERY NEAT GIVEAWAY! Congratulations! i'm coming up on 6 years too. Around Labor Day weekend. It went by quick! Best wishes on your Anniversary, I don't remember when my date was but I've met some wonderful people along the way. Congrats, Terry! I have enjoyed getting to know you this past year. Wow, six years is wonderful! Congratulations! Happy Blogiversary! I always enjoy reading your blog. You accomplish so much! Congratulations Terry, I've enjoyed your blog for a long time now. You inspire me to try harder for finishes. Really?? Only 6 years?? Seems like we've been friends for-ever!! Congrats!!!! The internet can be a wonderful place! I always like to read your posts, so I look forward to read more. That is so cute!! 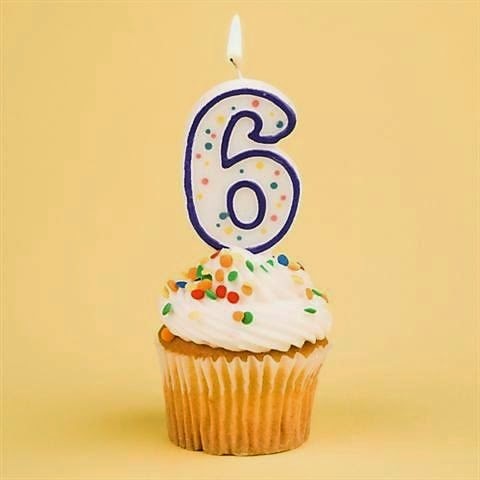 Congratulations, Terry, on your 6 years of blogging! I know it's fun, and takes some time, but isn't it a wonderful way to meet people? I've really enjoyed getting to know you through the blogosphere. Thanks for sharing!